The international small town of Loppiano, the Lionello Business Park, Sophia University Institute and Cittá Nuova Publishing Group: with different identities, these groups gave life to a new reality called “Loppiano Lab”, aimed at facing some of our current challenges, from the economic crisis, to culture and education. From September 16 to 19, a four-day meeting held at Loppiano included round tables, debates and businesses expositions. Loppiano Lab is the opportunity for these four promoters to interact and, surprisingly, see how much people are personally interested and committed to building a society animated by participation, openness to others and to what’s new. “Businesses in network, an innovative answer to the crisis” was held at the Lionello Business Park. More than 70 Italian businesses and one from Malta participated. They come from the manufacturing, business, tourism and services sectors, and were interested in networking to experience and give witness that it is possible to aim at quality products and services, ethics, formation, the environment and synergy in order to give business a face of solidarity through the economic and entrepreneurial model proposed by the Economy of Communion. 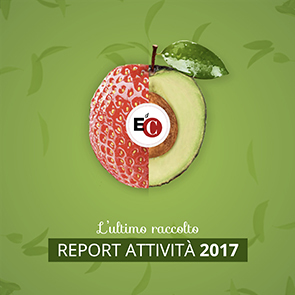 On September 18 and 19, the first Italian EoC Convention was held. More than 300 people participated, including entrepreneurs, employees, members of the business community, scholars and, most of all, youth interested in the EoC. In his opening, Luigino Bruni updated everyone on the current situation of the EoC throughout the world, of upcoming events (Brazil 2011) and challenges to face. A significant moment was the presentation of the life of entrepreneur François Neveux, expressed through a particularly fascinating theatrical performance. The second day, youth protagonists shared their life experiences in businesses and upcoming projects that gave everyone new enthusiasm and creativity for developing the EoC project in Italy. We parted with the wish that this appointment become a yearly event. The schedule of events during the four days led up to a convention held on Saturday in Loppiano’s Auditorium. In the convention, titled “Which country, what kind of unity? Innovating in economy formation and culture”, various experts shared possible clues for walking towards a unified vision of Italy, which respects cultural identities and regional economies. More than 2000 people participated. During those days, the resident businesses at the business park had a dream fulfilled: seeing the business park concretely transformed into a “home of entrepreneurs”, with many who had the chance to meet one another, know one another and being future collaborations. At the same time, this experience made them wish that this place – where the EoC businesses in the territory can begin – be always more at the service of the real needs of entrepreneurs and youth, specifically fulfilling its vocation as a meeting place for civil economy. It’s the beginning of a journey in which the charism of unity can put itself at the service of the country, even through Loppiano Lab, by accompanying those who are seeking truth and questioning themselves about the present in order to find together answers that have a future.